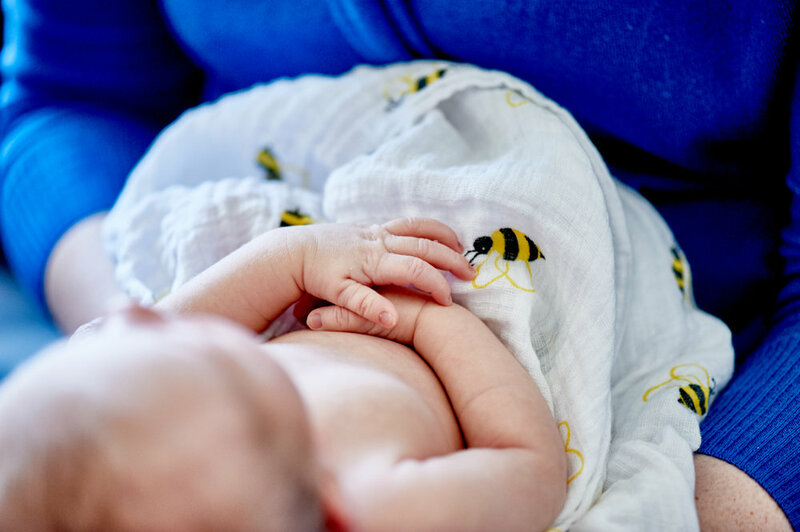 Let's be honest, the first weeks of bringing a new baby home are stressful and the adjustment of around the clock care can leave you feeling exhausted. The simple thought of leaving your house, showering and getting dressed makes the heads of most new parents spin. So why in the world would you want to remember such a low point in your parenting life? Here is what I've discovered about the families who decide to welcome a photographer during the early weeks with baby. 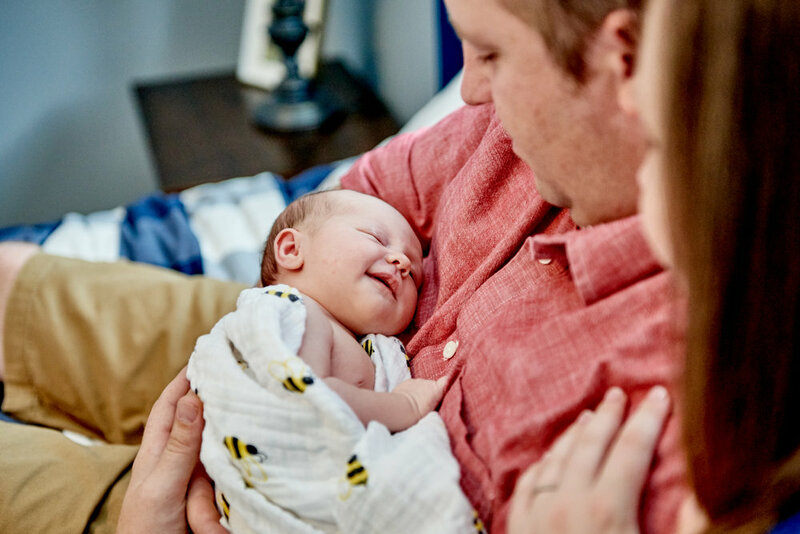 The special bond formulating in the hours and days following the birth of your child cannot be described into words but we witness it beautifully in images (see image gallery below!). This new person you've waited so many months for has finally arrived and your heart is bursting, or better put, your heart is now walking outside your body. This new found love is growing with each passing hour but also something else is happening.... your little one is rapidly loosing their "fresh baby" look. The technical term is called the awakening period, you will notice your little one becoming more and more alert with each passing day. It is truly the most amazing and fulfilling thing to watch as a parent! Before you know it they've learned to roll, giggle, and in some cases walk before their first birthday! Making those 'fresh baby' days history! Parents are often shocked at how quickly the first days pass and although they are exhausted they know that one day soon, they will want to remember the moments that bring them a sense of accomplishment in raising their child. To see a child grow and develop is an extremely rewarding experience. The endless effort and daily care to ensure a child is happy and healthy is very sentimental for moms and dads. To celebrate this journey, families choose to see the progress in photos and feel gratitude towards watching their family grow. You can learn more on how a newborn lifestyle session is captured by clicking here. We are very happy to do newborn photos again the second time around as we really loved our session with our daughter when she was born. Being able to look back on that time and see the bond she was already creating with not only us (her parents), but also our dog Yoda has been priceless. We were able to make a book of the photos and share them with her grandparents as well as keep a copy for ourselves to show to family/friends when they visit. Our daughter has started to enjoy looking at photos of herself as well and I can only imagine that this fascination will grow as she grows. Along with making the book, we also printed several of our favourites and hung them as decor in her bedroom. I believe photographs make beautiful artwork and love to see our memories hung around our home! 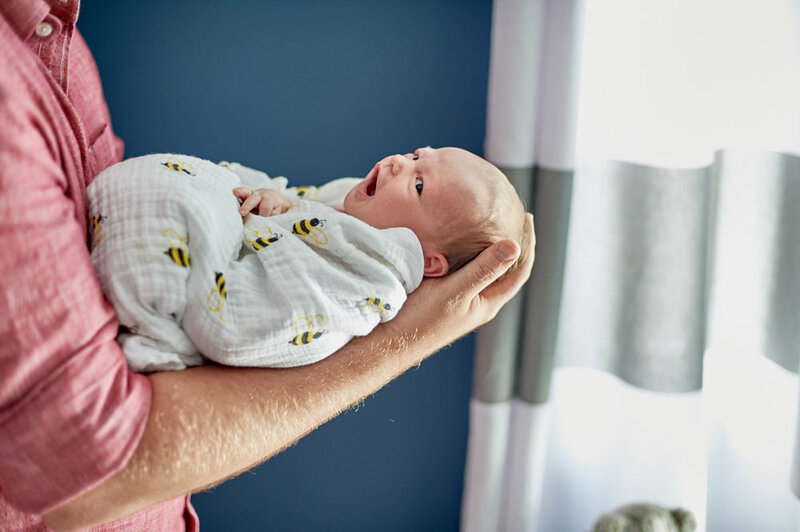 The first few weeks with a newborn are such a whirlwind that we are very happy that we chose to capture it, even if only a brief moment in time. Our daughter has changed so much over the past year and it is wonderful to be able to remember just how small she was when she first came into our lives.